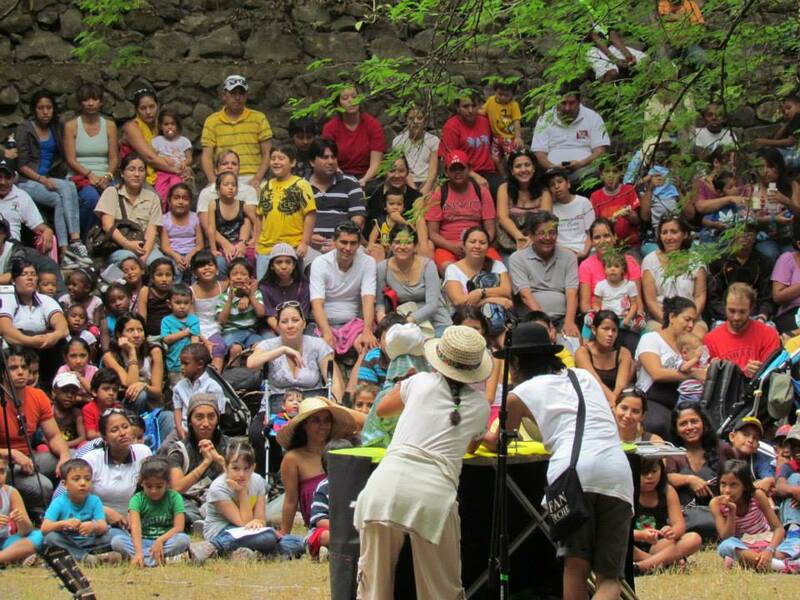 The Pro-Forest Foundation in conjunction 17 other local organizations and carried out the first Eco Festival in the Cerro Blanco Protected Forest on Sunday June 2nd with a total of 3,400 participants, which completely exceeded the expectations of the organizers. 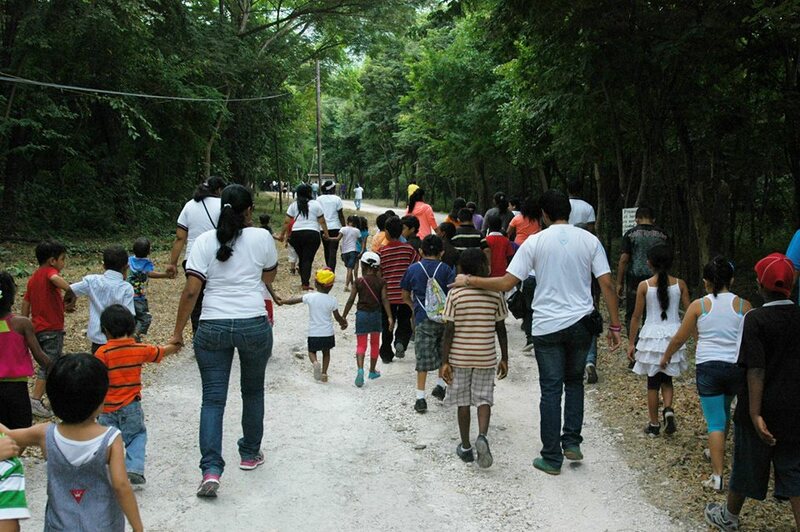 The stated objective was to celebrate the 20th anniversary of the Foundation’s creation as well as the Day of the Child and the Day of the Environment. But more than celebrating dates, the eco festival provided an opportunity for the people of the city of Guayaquil, Ecuador’s largest with more than three million inhabitants and a definite lack of parks and other green spaces, to enjoy the dry tropical forest that Cerro Blanco protects, with their families. People from a cross section of Ecuadorian society participated young and old alike, but the large number of children who participated marked the day. An extensive program was prepared beginning with the inauguration of the festival at 9 AM and extending to 5 PM. A eco fair was held that included more than 25 stands with everything from organic food sold directly by the farmers that grew them to boy and girl scouts showing their outdoor skills in demonstrations, an artist painting a forest scene live in person, a Rastafarian group, artists displaying a multitude of handicrafts and environmental groups working on various fronts in the city including protecting and reforesting mangroves, etc. 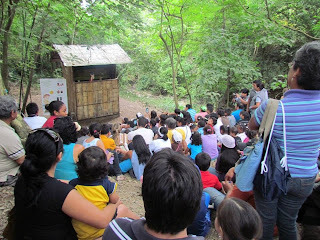 A total of 12 scheduled workshops were held (as well as some impromptu ones) at the fair ranging from the conservation of birds for kids to how to live in harmony with nature, including the promotion of vegetarianism and organic gardening with composting, etc. Various local artists donated their time to carry out a series of more than 10 standing room only presentations in the Cerro Blanco open air amphitheatre, including the yoga of laughter, puppet theatre and music provided by local folk, rock and reggae groups with great sounding names such as Green Awareness (Conciencia Verde) and King Shrimp (Rey Camaron). 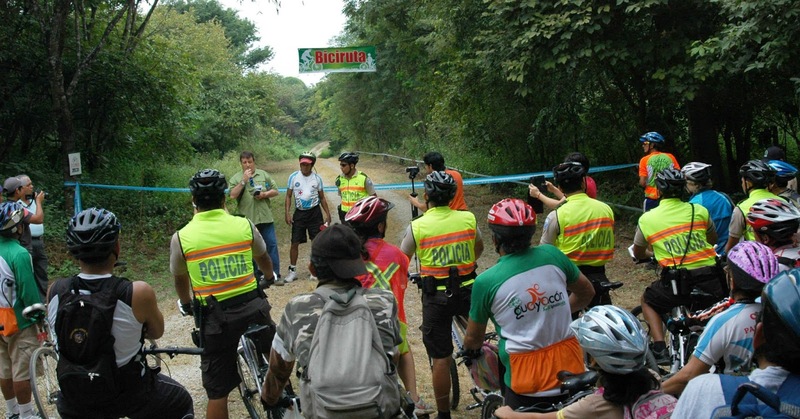 New attractions in Cerro Blanco were also inaugurated, including a 2.5-mile bike path. Two local bicycle groups with a total of 70 participants met in a park in Guayaquil and pedaled out the 4 miles to Cerro Blanco to help inaugurate the bike path. Cars were parked outside the front gate and people invited to enter by foot and by bike. 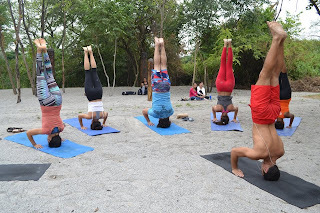 A meditation area was also inaugurated, with totem poles of monkeys, great green macaws and jaguars carved by a local artist in honor of the original inhabitants of the area, the Huancavilcas. Both yoga and meditation classes were offered by local groups. Ecuadorians are notorious for generating a lot of trash at public events, but guidelines had been laid down in advance, including no selling of water or soft drinks in plastic bottles and people were encouraged to bring their own and/or use the strategically placed water jugs. No handouts or leaflets were allowed among the participating institutions, which also included representatives of the Ecuadorian Ministry of the Environment and a newly created bike unit of the National Police that works in the tourist sites in the city of Guayaquil. As a result, the impact on Cerro Blanco was minimal and walking the roads and trails the day after, the air was filled with bird calls, agoutis ran off into the nearby vegetation and howler monkeys could be heard up in the ravines as if more than 3,000 people hadn’t been there the day before. Although the traditional news media by and large ignored the event, the message rang out loud and clear, Guayaquileños love their natural areas such as Cerro Blanco and other sites in the dry tropical forests and mangroves that survived the onslaught of the rapid urbanization of the city in the last twenty years. 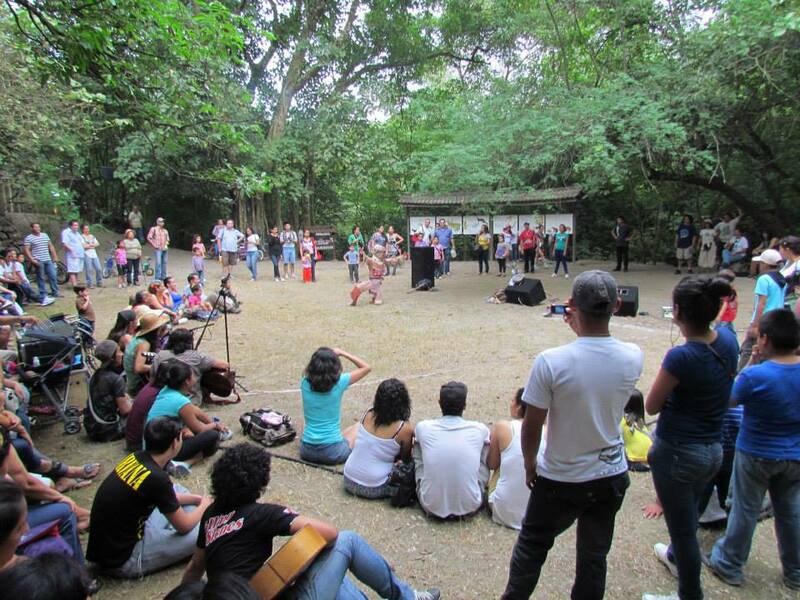 Many people who both participated and also who didn’t are asking that the festival be repeated and it is hoped that the authorities have gotten the message; Guayaquil’s natural areas must be respected. Cerro Blanco is under threat from a proposed highway that would be built directly with the protected forest boundaries and put its abundant and diverse flora and fauna at risk not only from the impacts of the road construction, but also future attempts to invade the forest by land traffickers to urbanize, tree cutters and hunters. 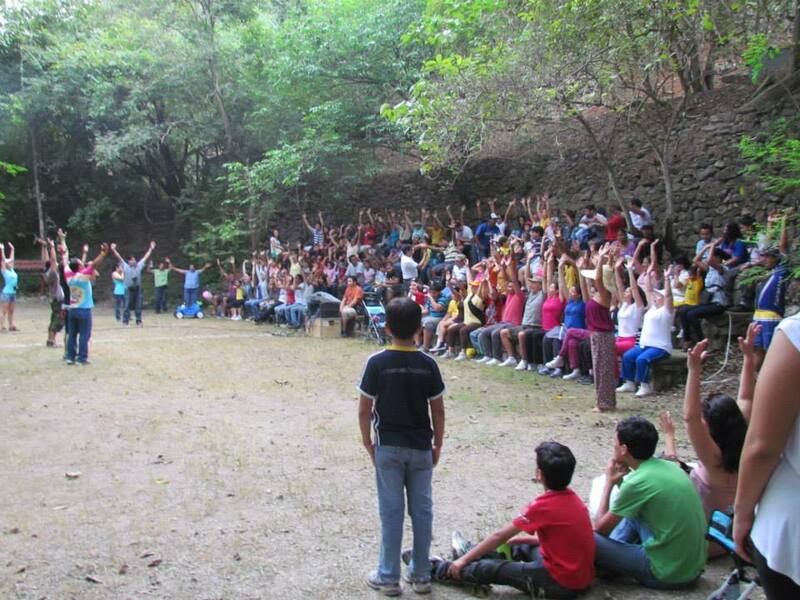 Eric Horstman, the executive director of the Pro-Forest Foundation and the person behind the eco festival in one of his interventions asked people to remain alert and support Cerro Blanco against any future threats. The Ecuadorian Ministry of the Environment and Senagua, a government water regulation entity has formally requested the Ministry of Transport and Public Works to provide an alternative route for the proposed highway which would link Guayaquil with the beaches of the nearby Santa Elena Province, but would be re-routed away from Cerro Blanco.